Love those strong facial expressions–each one so different. Wouldn’t want to get locked in there alone for the night though! LOL – yep, no thanks to being stuck with them at any time!! Thanks for your comment! That’s a really, really cool shot! 🙂 Hope you had a great weekend! Yeh totally!! 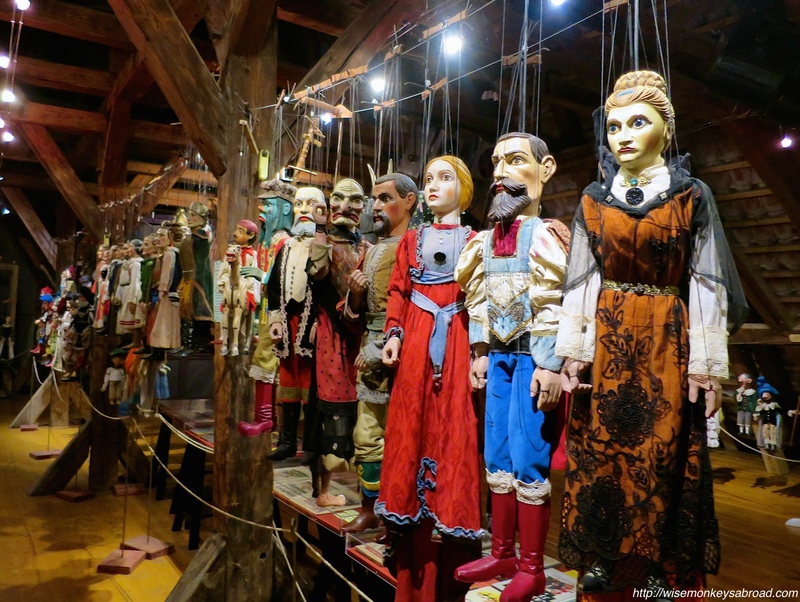 As per comment to Diana earlier, the day we visited, there was a storm outside (imagine wind, dark clouds, rain) and here we are walking through the attic of an old church amongst these puppets. It was pretty creepy! It’s funny you say that! Because while walking through the attic of this old church while a storm was blowing outside, I (Le) admit I was getting a little “spooked” with all these puppets dangling around me… I didn’t stay long and took about 2 photos and then bolted back downstairs! ha, ha, ha….perfect weather for a visit to a place like this! Full of texture and somewhat cold expressions..not a single puppet has a smile on its face. 🙂 why ? Thanks for your comment 🙂 We were so fascinated at all the different types of puppets! These ones we couldn’t play with but there was a section where we could try our hand at it…..